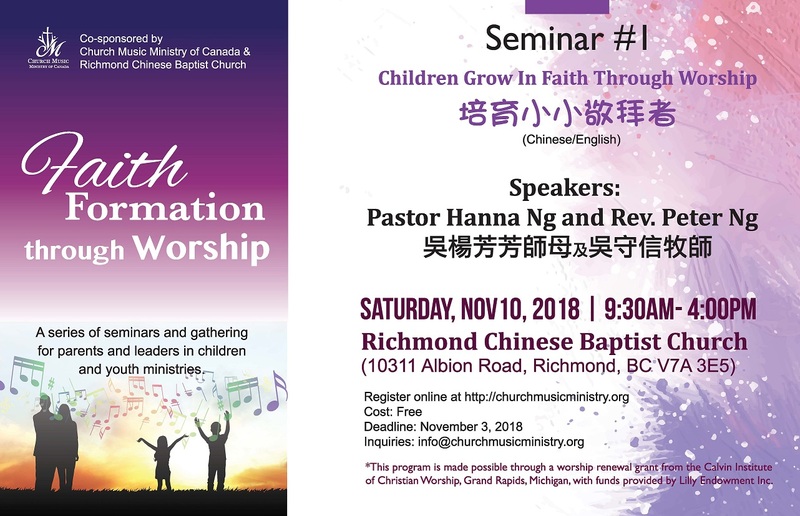 Faith Formation through Worship (FFW) – a series of seminars and gathering for parents and leaders in children and youth ministries*. A unique opportunity to come together to articulate and share their worship and faith formation strategies. 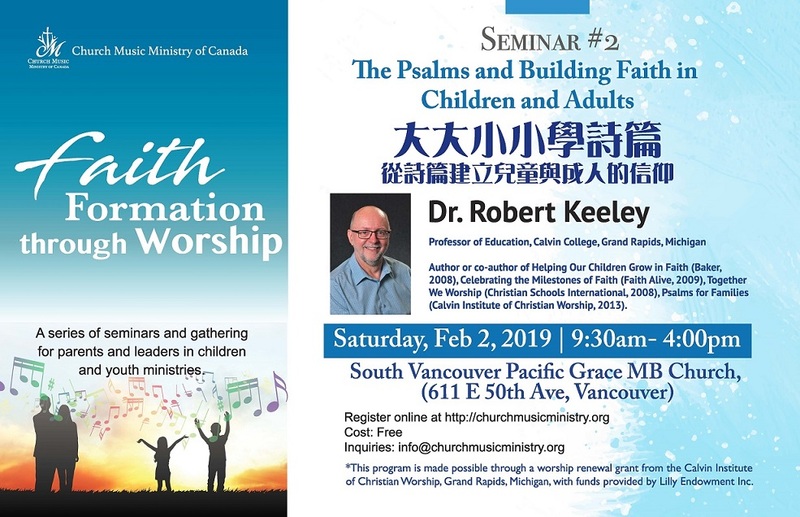 This series is organized by Church Music Ministry of Canada. Dr. Robert Keeley is a professor of education at Calvin College, Grand Rapids, Michigan. His research area is the spiritual development of children. He is also the co-directors of children’s ministries at Fourteenth Street Christian Reformed Church, Holland, Michigan. Robert is the author or co-author of Helping Our Children Grow in Faith (Baker, 2008), Celebrating the Milestones of Faith (Faith Alive, 2009), Together We Worship (Christian Schools International, 2008), Psalms for Families (Calvin Institute of Christian Worship, 2013), a dozen Christmas plays for children, numerous articles, book chapters and reviews and the editor of Shaped By God (Faith Alive, 2010). Deadline: January 25, 2019 or until filled. Hanna Ng 吳楊芳芳 師母 is a passionate Children’s pastor and has worked with children with autism. Rev. Peter Ng 吳守信 牧師 was a social worker in Hong Kong and a recently retired senior pastor. 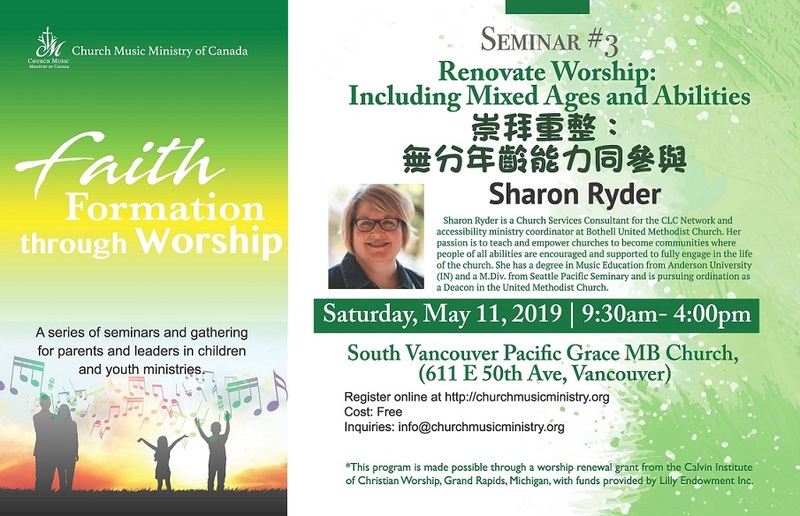 They both graduated from Southwestern Theological Seminary, Fort Worth, Texas (Master of Arts in Christian Education and Master of Divinity) and have been serving at Edmonton Chinese Baptist Church since 1991. They have 3 children. Cost: Free (register online at Link to registration ). Admission to the seminar (including lunch) is free. Because space is limited, if you did not come or did not email to inform us (48 hrs notice) you will be charged for this event. *This program is made possible through a worship renewal grant from the Calvin Institute of Christian Worship, Grand Rapids, Michigan, with funds provided by Lilly Endowment Inc.